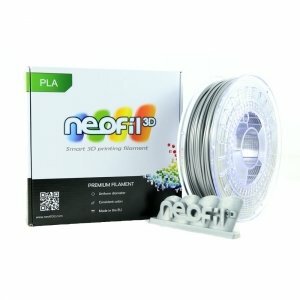 This Neofil3D Silver PLA 2.85mm is an opaque premium filament for printing 3D FDM. The PLA has a very bright colour and produces an extremely clean finish for 3D printing. Quality guaranteed. 750g spool. 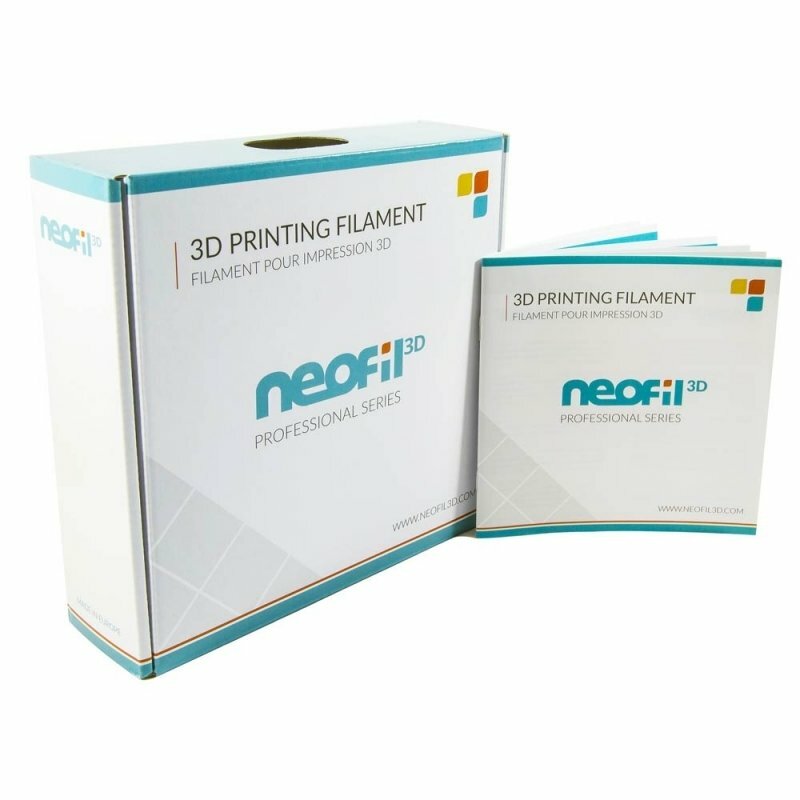 Neofil3D filament is extruded in Europe and RoHS and REACH certified by the European Union. This PLA for 3D printing is opaque and is excellent for rapid prototyping at a professional level, both for its visual aspect and its dimensional stability. 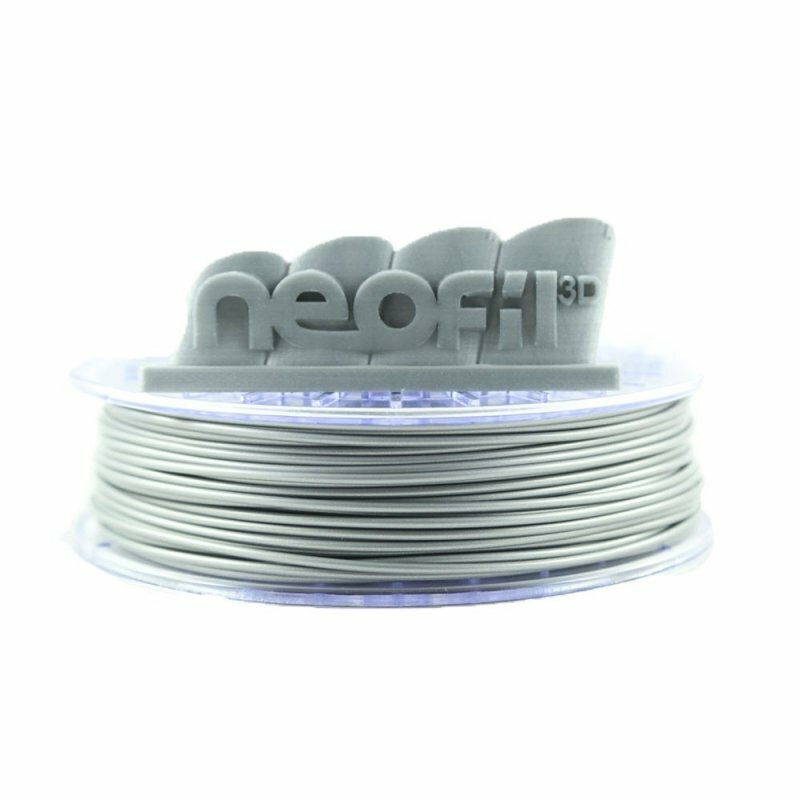 This Neofil3D Grey PLA 2.85mm is an opaque premium filament for printing 3D FDM. The PLA has a very bright colour and produces an extremely clean finish for 3D printing. Quality guaranteed. 750g spool. This Neofil3D Orange PLA 2.85mm is an opaque premium filament for printing 3D FDM. The PLA has a very bright colour and produces an extremely clean finish for 3D printing. Quality guaranteed. 750g spool. This Neofil3D Magenta PLA 2.85mm is an opaque premium filament for printing 3D FDM. The PLA has a very bright colour and produces an extremely clean finish for 3D printing. Quality guaranteed. 750g spool. This Neofil3D Natural PLA 2.85mm is an opaque premium filament for printing 3D FDM. The PLA has a very bright colour and produces an extremely clean finish for 3D printing. Quality guaranteed. 750g spool. This Neofil3D White PLA 2.85mm is an opaque premium filament for printing 3D FDM. The PLA has a very bright colour and produces an extremely clean finish for 3D printing. Quality guaranteed. 750g spool.